Ruffino Chianti 2012 – A Delicious Value! Hello wine lovers and happy wine Wednesday! I hope your week has been good – mine has been busy with back to school routines and activities popping up! And, as September ushers in autumn, I start turning my attention to the red wine beauties out there. Today – I have a treat for you. Maybe you have tried this lovely bottle of Chianti before? I haven’t and I am thrilled that I have now. Ruffino’s Chianti is a fantastic find and a perfect Wednesday night wine! Chianti is a dry, red wine from the Tuscany region in Italy and is made entirely of Sangiovese grapes. Ruffino’s 2012 Chianti is a DOCG which is a designation for a better than average wine or a quality assurance for the consumer – kind of like our VQA status in Canada. OK – on to the wine! Ruffino’s Chianti is a beautiful medium bright ruby colour in the glass with aromas red cherry, raspberry, violets, dried oregano, and a whiff of spice. Yum. 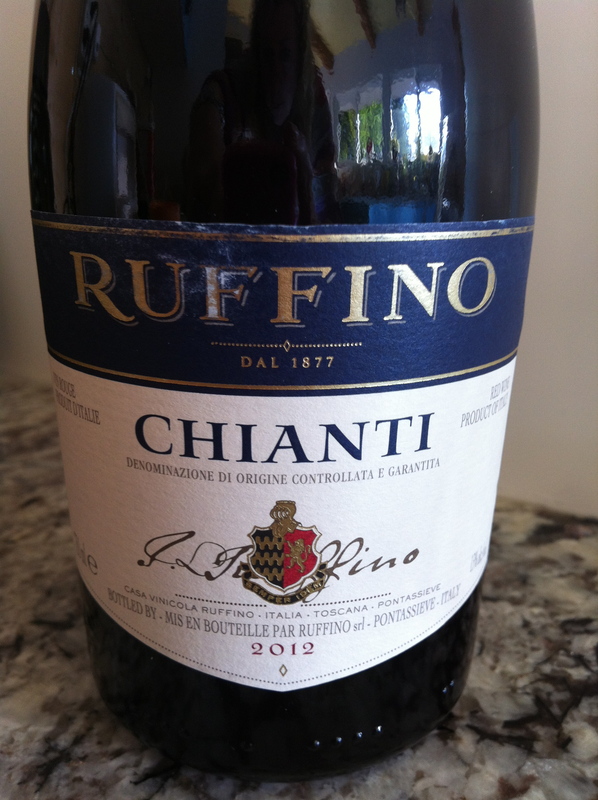 On the palate, Ruffino’s Chianti did not disappoint! It is dry with a medium plus acidity, medium minus body, medium alcohol, medium minus tannin and a medium plus flavour profile. Flavours of beautiful, red juicy fruit spring to life on the tongue along with a hint of vanilla and dusty, dried herbs. This red also carries a nice medium long finish. Brilliant. This is an incredible wine for the price! Ruffino’s Chianti is one of Italy’s top exports for excellent reason. Our very own B.C. Liquor Stores have carried this wine on the shelves since 1974! It is currently even more affordable until September 21st at a whopping $13.99 a bottle! Stock up! Start the car! The regular price is still very pleasing to the wallet at $15.99. Wow – have I ever found myself a stunner! I do strongly urge you to get to a BCLS and purchase a bottle. You will NOT be disappointed and this is, by far, one of my favourite red picks I have yet to find. Yes, you knew it was coming – a GGG “Hell Yes” for this Italian lovely! A lovely, refreshing dry red wine perfect for any night of the week but calls out for pasta and a red tomato sauce! GGG “Hell Yes” for taste, flavour profile and value! This is one to stock up on for casual dinner parties and wine Wednesdays! Great information on a wine usually overlooked…I will definately give this a try! I tried my first Chianti last week and fell in love! I just found and followed your blog, it looks fantastic! 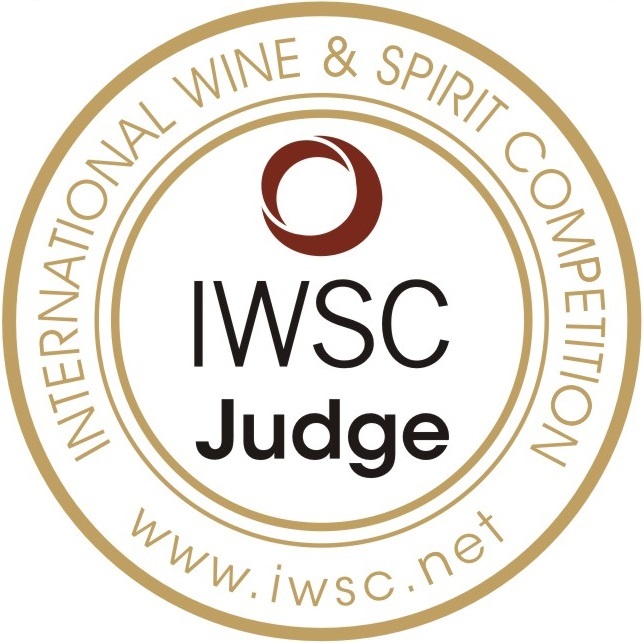 I’m interesting in learning so much more about wine and understanding why I like what I like. Will definitely be checking in periodically! Thank you and of course!